St Stephen’s Church will be hosting an alternative halloween party on Saturday 31 October 2015 at St Stephen’s Church on Belle Vue Road. 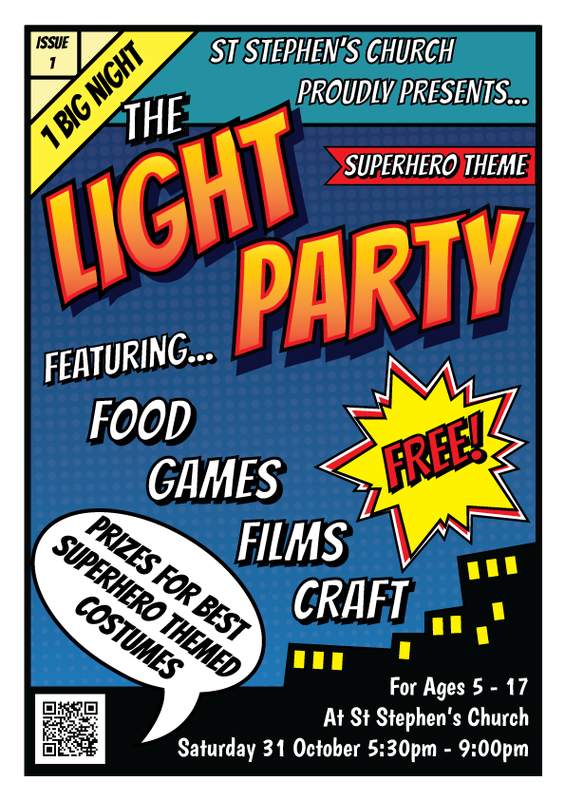 This year’s Light Party has a Superhero theme. All children and young people 5 to 17 years old are welcome to come along for a fun packed evening. There will be food, craft, games and a film to watch. Prizes will be given for the best superhero themed costumes (come as your own superhero creation, someone you consider to be a superhero or a superhero from a film or comic). There is no charge for this event. Please note that all children / young people will need to be signed in by a parent or guardian. Also, anyone with scary costumes will be asked to remove them before joining the party.